Miscreants on Monday night attacked an RSS office at Haflong, the headquarters of Dima Hasao district in Assam, triggering panic in the area. Sources said three persons with their faces covered arrived at the RSS office situated at VHP Road in the heart of Haflong at 9 pm. They first ransacked the CCTV cameras of the office and then sprinkled petrol on the building. But minutes before they could set it on fire, Rajatmani Thaosen, an RSS worker, reached the spot and raised an alarm after which the miscreants fled. The superintendent of police of Dima Hasao district, along with senior government officials, rushed to the spot and launched an investigation into the incident. He said police raided different areas of the hill station but no one has been arrested yet. However, RSS has filed an FIR regarding the incident. Sources said a number of Dimasa organizations, including Jadike Naiso Hosom (JNH), the apex body of the Dimasas , took out a protest rally in Haflong against RSS’s alleged conspiracy to include the hill district of Assam in proposed Nagalim. The attack in the RSS office took place after the rally was over. 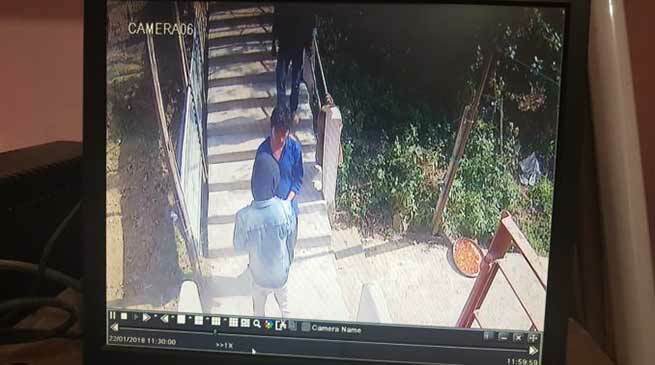 The chief executive member of the BJP-led North Cachar Hills Autonomous Council , Debolal Gorlosa , alleged that Congress was behind the attack.”The miscreants belong to Congress,” he told the media on Tuesday. He demanded immediate arrest of the miscreants and urged the people to maintain peace in the district.. The NSCN-IM has been demanding the unification of the “land of the Nagas” — by slicing off Naga-inhabited areas of Assam, Arunachal Pradesh and Manipur to form a Greater Nagaland.